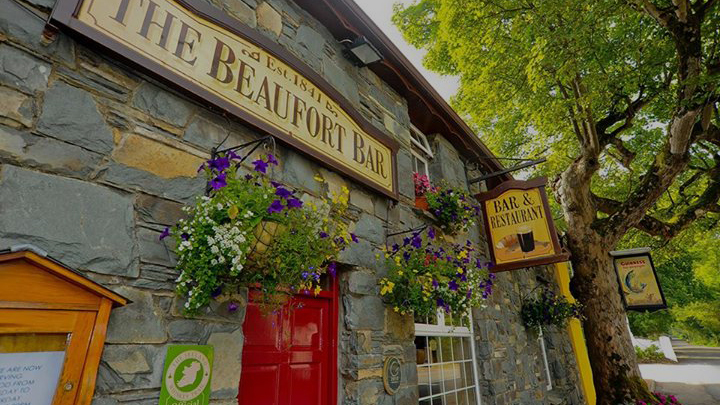 Located within a stone’s throw of the Gap of Dunloe and the River Laune fishery, the Beaufort Bar is in perfect harmony with its natural surroundings, and is the ideal retreat after a day of touring or outdoor activity. 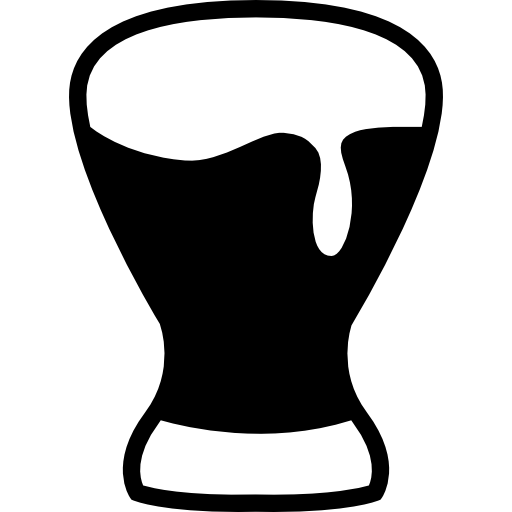 The Bar is licensed since 1841 and has been in the hands of the O’Sullivan family since the beginning, the current owners being the fourth generation of O’Sullivan’s. From the natural stone front of the building, shaded by a mature sycamore to the exquisite interior workmanship in wood and stone that also includes a large open fire, the building over two floors is marked by a sense of individuality and character that makes it a pleasure to visit. The O’Sullivan family’s interest in the environment is reflected in the exceptional and ingenious use of natural timber throughout the Bar and Restaurant. About 12 types of wood are used in all, including oak, elm, yew, arbutus and cedar of Lebanon. If your taste includes fine Whiskey, the Bar serves over 200 a varied and interesting selection of quality labels. Of particular interest within the Bar are the collection of still images from the Kalem movies which adorn the walls of both the Bar and the Restaurant, evoking an exciting chapter of Beaufort’s history, and uniquely illustrating what the village and surrounding area looked like in times gone by.